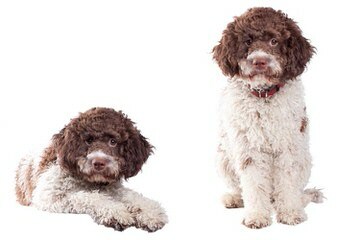 Lagotto Romagnolo puppies available. 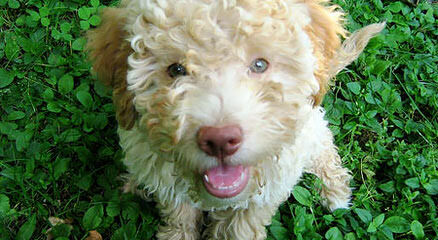 Top quality puppies, imported parents, all health testing done, written guarantee. 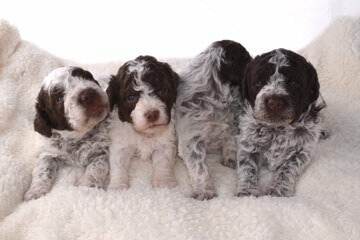 These puppies have been handled from day one and are very well socialized and happy out going puppies. 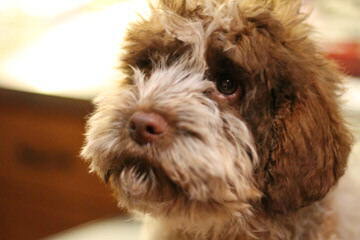 They have been imprinted on truffle scent and would be very easy to train to find local truffles. Long time breeder (28 years) with veterinary experience. 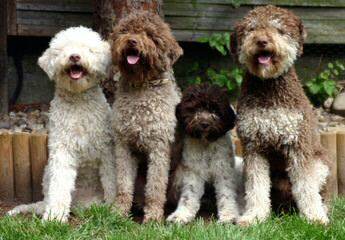 Breeder support for the life of your dog. We are a small scale breeder in the prairies of Alberta Canada. 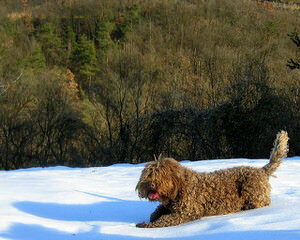 We Imported our dogs from amazing lines in Europe. 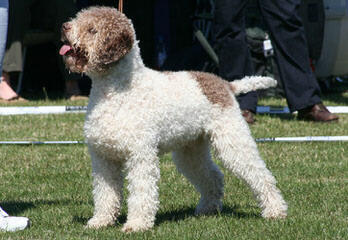 Both Juno and Cuba come from blood lines with European champion ships in both work and show. We have passed all health testing. 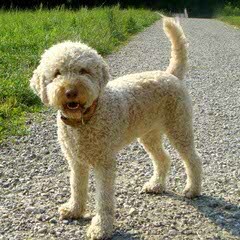 Our Lagotto Lodge is situated on 40 acres of Canadas Pacific Rim. 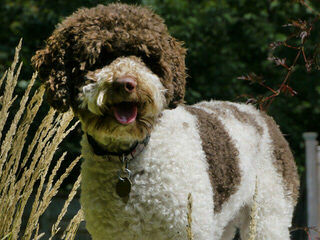 Registered, Premium Lagotto, Vet Protocol Certification, Micro-chipped. 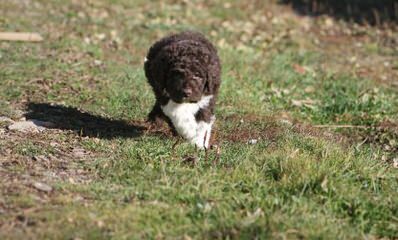 MiaBella Kennels are run by Chris & Jane Counsell, breeders of Lagotto Romagnolo dogs in the Wairarapa, New Zealand. 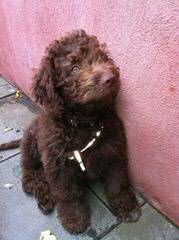 Lagottos were originally bred as water retrievers in Italy but nowadays they are the only breed recognised as Truffle sniffing dogs. 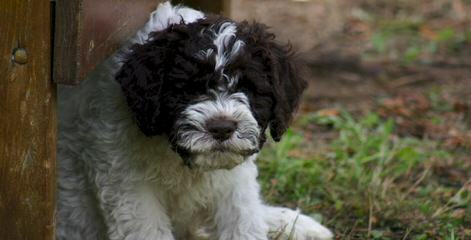 Small breeding kennel in New Zealand, specialising in Lagotto Romagnolo and Bernese Mountain Dogs.